Combine all ingredients, except sparkling wine, in a shaker and shake. 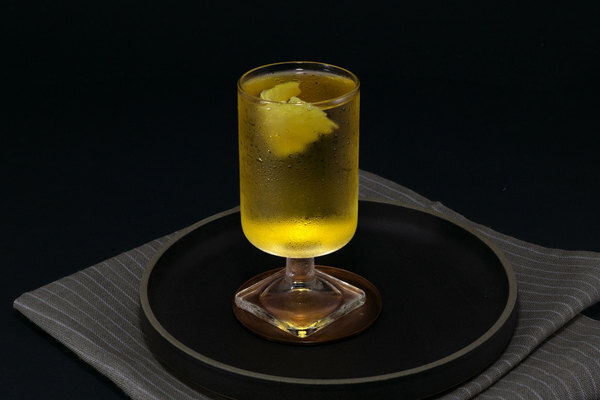 Strain into a collins glass or flute and top with sparkling wine. 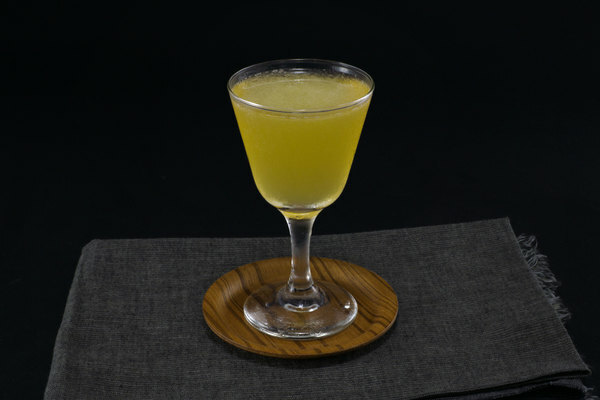 This fun riff on the infamous Tom Collins was developed by Jamie Boudreau at Canon in Seattle, and later published in his book of the same name. Boudreau notes that this drink is “equally at home in front of the fireplace or the patio” and even claims the drink is “much superior to the original Tom Collins”, which is pretty bold. We agree: the After All Imperial is a fabulous multi-season cocktail, though it is most comfortable during the holidays as a fruity, bright, and stone fruit championing bubbler. 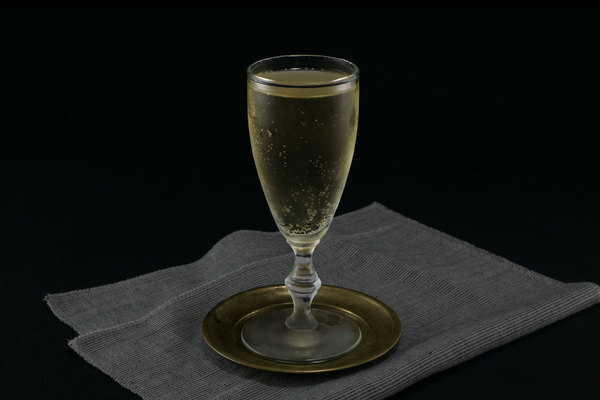 Boudreau calls it a bracing drink and he's correct; the high proof apple brandy is prominent here, giving the drink a brashness that nicely compliments the tartness of lemon and wine. The finish is a spectacular bouquet of fruit— easily the strongest asset of the drink. Serve this beverage during the daytime around winter tables as a seasonal alternative to a French 75 or Tom Collins. The original recipe requests Laird’s bonded apple brandy, and indeed it is the superior base here; the higher proof adds a fiery base and a degree of complexity that surpasses the straight-laced apple flavors in lower proof applejacks. A dry, fleshy calvados would work well also. We can see this drink working equally well with either apricot or peach, though we think apricot brandy has a nice seasonable bent. The drink can come out a bit sour at times, so make sure to sample before you serve. The original recipe suggests serving this in a traditional collins glass with a mint garnish. 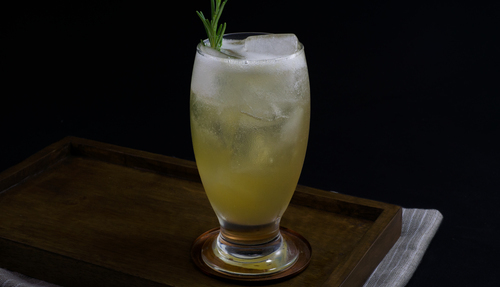 We took a few liberties and started serving the drink more like a French 75, which the recipe bears some resemblance to, and added in a rosemary garnish for an extra bit of seasonal flair. Either combination looks and tastes great, so go with your heart...or whatever is in your fridge.